MACAULAY, JOHN SIMCOE, businessman, politician, and militia officer; b. 13 Oct. 1791 in England, eldest child of James Macaulay* and Elizabeth Tuck Hayter; m. 2 July 1825 Anne Gee Elmsley in Croydon (London); d. 20 Dec. 1855 near Strood, England. 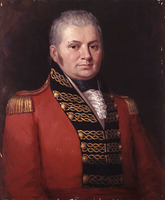 As John Simcoe Macaulay’s name indicates, his father, a British army surgeon, enjoyed the patronage of Lieutenant Governor John Graves Simcoe* even before leaving England for Upper Canada in 1792, where he rose in the service to become a deputy inspector general of hospitals. The family settled successively in the administrative centres of Newark (Niagara-on-the-Lake) and York (Toronto). Young Macaulay attended William Cooper*’s elementary school at York and the Reverend John Strachan*’s school at Cornwall before travelling to England about 1805 to enrol in the Royal Military Academy, Woolwich (London). He was commissioned second lieutenant in the Royal Engineers in July 1809, and was promoted second captain in January 1815 and captain in October 1829. During the Napoleonic Wars he served in the Iberian Peninsula between 1810 and 1813 and briefly at Genoa (Italy) in 1814. He was stationed at Gibraltar between 1813 and 1819 when, upon his corps’ reduction in size, he was placed on half pay. He subsequently came home to Upper Canada and stayed there until 1821. Returning to full pay in 1825, he served in Ireland and on the Trigonometrical Survey of England. In December 1827 he became instructor in fieldworks at the Royal Engineers Establishment, Chatham, and 12 months later was appointed professor of fortification at his old college at Woolwich, a post he held until his resignation early in 1835. While there he wrote his own textbook, A treatise on field fortification. Despite the book’s long life (it reached its sixth edition in 1869) and his claim to have made improvements in the teaching of the subject, his superiors refused the application he made after his resignation for the brevet rank of major. A college commission of inquiry, indeed, recommended reversion to the syllabus on fortifications used before 1829. Macaulay, his father long dead, settled in Toronto in 1835 to manage his inheritance. Simcoe had granted Dr Macaulay park lot 9 near the provincial capital and Chief Justice John Elmsley* the adjacent lot 10. The Macaulay grant occupied the northwest corner of the busy intersection of Yonge and Lot (Queen) streets. On J. S. Macaulay’s marriage to Elmsley’s eldest daughter in 1825 the two holdings had been reapportioned, so that Macaulay gained the Lot Street frontage to both lots. A crowded and largely working-class precinct known as Macaulay Town grew on his land behind the lucrative ribbon development where the two high roads intersected, and in the late 1830s Macaulay moved into the subdivision to occupy Elmsley Villa, the former residence of his brother-in-law, John Elmsley*. In 1835 Macaulay bought land in nine scattered townships from John Solomon Cartwright* of Kingston, another brother-in-law, and added other properties across Upper Canada in subsequent years. In January 1836, a few months after Macaulay’s return to Toronto, Sir Francis Bond Head* arrived as lieutenant governor. 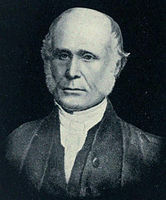 Four weeks later Head announced his first official appointments: a new Executive Council, of which the reformer Robert Baldwin was a member, and a new surveyor general, John Simcoe Macaulay, to succeed Samuel Proudfoot Hurd. Much real power lay with the surveyor general and his office for they were involved in all decisions whereby public land became private property; colonists therefore cared deeply who the surveyor general might be. Although Head and Macaulay, both royal engineers, had passed through Woolwich only a year apart, the lieutenant governor said in February that he had not met his appointee for at least a quarter century before arriving in Upper Canada. Macaulay qualified not through friendship, Head declared, but through professional experience, his family’s standing (Head cited Judge James Buchanan Macaulay, a brother), and his substantial stake in the province. One other candidate for the position, John Radenhurst, chief clerk in the Surveyor General’s Office, was disqualified in Head’s opinion because he had used his office to run a private land agency on the side. But Radenhurst also had powerful connections. Through marriage to a daughter of Thomas Ridout*, a former surveyor general, he could claim relationship with a number of prominent Toronto families. 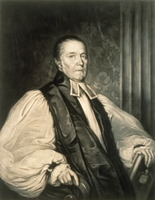 A speedily circulated petition, headed by Archdeacon John Strachan and signed by both tories and reformers, urged Radenhurst’s case. In the face of such a strong public movement, on 22 February (only two days after his appointment had been gazetted) Macaulay offered to stand down. The issue did not die; Head would not let it. It was caught up in a broader constitutional crisis, at the centre of which was the collective resignation of the new Executive Council led by Baldwin, on the claim that Head had consistently acted without its advice. Majorities in the Legislative Council and in the House of Assembly deplored, among other matters, Macaulay’s candidacy, charging that he was not a bona fide resident of the province because he remained on the army’s active list. Reformers added that the appointment was yet another job for the “family compact.” Head retorted that his candidate’s long absence from Canada freed him from party ties. He advised Macaulay to proffer his resignation directly to Lord Glenelg, the colonial secretary, in the naïve belief that Glenelg would sustain his lieutenant governor and graciously decline to accept it. But to both men’s dismay Glenelg did accept it, particularly embarrassing Macaulay who had relinquished his commission in the Royal Engineers so as to qualify for colonial office. John Macaulay of Kingston became surveyor general in October 1836 and later that fall John Simcoe Macaulay personally appealed Glenelg’s decision in England, but without success. After William Lyon Mackenzie*’s rebellion in December 1837, Macaulay became commandant of the militia in Toronto, with the rank of colonel. His forthright distaste for democrats, republicans, and Americans could be given full vent. 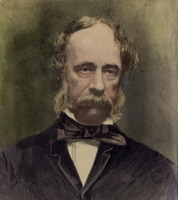 He pressed for pre-emptive sorties into the United States and advised on the fortification of the province, stressing the strategic value of the Welland Canal and of the proposed railway from Toronto to Lake Huron. At the time he was vice-president of the short-lived City of Toronto and Lake Huron Rail Road Company and was a government nominee on the board of the Welland Canal Company. 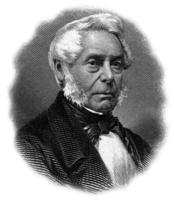 Soon afterwards he became chairman of the canal company, on whose board official nominees formed a majority of three to two, but in 1840 one of the nominees, John Willson, switched his vote for chairman to a shareholders’ representative, William Hamilton Merritt*, who thus won the position. 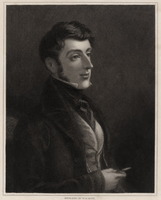 The new lieutenant governor, Sir George Arthur, dismissed Willson but Governor Charles Edward Poulett Thomson* (later Lord Sydenham), seeking support for his government, applauded Merritt’s victory and blocked any reversal of the vote. 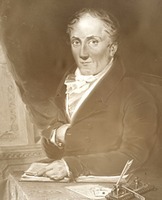 Later the same year Macaulay, a director of the Bank of Upper Canada between 1836 and 1842, unsuccessfully contested its presidency, held by William Proudfoot*. Arthur had placed Macaulay on the Legislative Council in 1839, as Head had recommended two years earlier, but Sydenham failed to reappoint him to the upper house of the united province in 1841. He stood instead for the Legislative Assembly at that year’s general election, contesting the riding of 3rd York, across the Don River from Toronto, where Sydenham’s candidate was James Edward Small*. Arthur informed Sydenham that Macaulay was not popular “with any Party” and Small won, after the army had been sent in to ensure his victory. Macaulay was also Small’s unsuccessful rival in a by-election in 1842. In November 1841 Macaulay had entered Toronto City Council as an alderman for St Patrick’s Ward, which included Macaulay Town. When council met in January 1842 to choose a mayor, his was the first name proposed. He had been led to believe that his elevation would be unanimous but he was rejected by 15 votes to 5 in favour of Henry Sherwood. Humiliated, Macaulay resigned from council after only seven weeks as alderman. At the general election of 1841 Sherwood and George Monro* had been the unsuccessful tory candidates in Toronto; two members of the local compact, Sheriff William Botsford Jarvis* and Clarke Gamble, had been forced by the tory faction which dominated city council to withdraw their names from the provincial contest in favour of Sherwood and Monro. At the Toronto by-election of March 1843 Sherwood was the official candidate. Jarvis and Gamble, however, nominated Macaulay to run against him in this by-election, supposedly as a true-blue tory opposing a trimmer and place-hunter. Some reform leaders leaned towards Macaulay because he would be a less capable opponent in parliament but his backers discouraged such support by stating that he would adhere to the uncompromising tory principles of Sir Francis Bond Head. Macaulay himself was quoted in a newspaper as saying: “I am a straightforward English gentleman and I glory in it.” Sherwood won easily. It was the last of many rebuffs dealt Macaulay by provincial power-brokers. He immediately began selling much of his property in Toronto and within months had realized £21,000 from sales in and around Macaulay Town. By 1845 he had retired across the Atlantic to live the life of a straightforward English gentleman. He revised his Treatise several times for re-editions. At Bishop Strachan’s request, he came to an agreement at the end of 1845 with the principal purchaser of his Macaulay Town properties for a site to be reserved “in the middle of the Square” on which a church for the poor (Holy Trinity Church) could be built. The remaining portion of his holdings, roughly bounded by today’s College, Yonge, and Wellesley streets and by Queen’s Park, comprised the grounds of Elmsley Villa, which from 1849 to about 1851 served as the province’s vice-regal residence. Macaulay had plans to subdivide the grounds into choice lots for villas, but by 1854 his agent had sold the entire estate to Dr A. M. Clark, who undertook the subdivision. 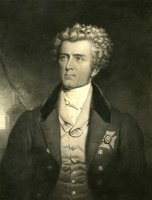 Macaulay might brood in England over his disappointments in Canada, but he could also look back on the patronage of lieutenant governors Head and Arthur, and particularly on that of his namesake, John Graves Simcoe, whose gifts of land to his father and father-in-law ultimately allowed him to retire wheresoever he chose. Macaulay died of “apoplexy” on 20 Dec. 1855 at his residence, Rede Court, and was survived by his wife, four sons, and four of his five daughters. John Simcoe Macaulay is the author of A treatise on defilement: containing the problems relating to that subject, with their application to field works: also, the practical methods of defilading field works (London, 1830); Description of Chasseloup de Laubat’s system of fortification as executed at Alessandria, by an officer of the Corps of Royal Engineers (London, 1833; 2nd ed., 1851); and A treatise on field fortification, and other subjects connected with the duties of the field engineer (London, 1834; 2nd ed., 1847; 3rd ed., 1850; 4th ed., 1856; 5th ed., 1860; 6th ed., 1869). AO, MS 525, J. S. Macaulay papers; RG 22, ser.155, will of J. B. Macaulay, and codicils; ser.305, Anne Gee Macaulay. Croydon Parish Church (London), Reg. of marriages, 2 July 1825. CTA, RG 1, B, J. S. Macaulay to Mayor [John Powell], 1 March 1838; Macaulay to Mayor [Henry Sherwood], 13 Jan. 1842. GRO (London), Death certificate, J. S. Macaulay, 20 Dec. 1855. Institution of Royal Engineers, Corps Library (Chatham, Eng. ), Connolly papers, “Notitia historica of the Corps of Royal Engineers,” comp. T. W. J. Connolly (17v.). MTL, William Allan papers, City of Toronto and Lake Huron Rail Road Company papers; Robert Baldwin papers, corr. of H. J. Boulton, Alexander Grant, George Ridout, and J. E. Small to Baldwin, February–March 1843; S. P. Jarvis papers, misc. corr., February 1843; “Memoranda re the crown grants of park lots in the city of Toronto based on the records in the registry office,” comp. T. A. Reed (ms, 1926). PAC, RG 1, L3, 342: M12/409; RG 5, A1: 88683–87, 93145–47, 107726–29, 121594–99. PRO, CO 42/429: 243–51, 258; 42/430: 46; 42/431: 96–101; 42/434: 75; 42/435: 129–34; 42/436: 270–71 (mfm. at PAC). Arthur papers (Sanderson), 1: 31, 68–69, 125, 236–37, 321, 353, 450–52; 3: 32, 341, 374, 377, 382. G.B., Colonial Office, Lord Glenelg’s despatches to Sir F. B. Head, bart., during his administration of the government of Upper Canada . . . (London, 1839). Records of the Royal Military Academy, 1741–1892, ed. H. D. Buchanan-Dunlop (2nd ed., Woolwich, Eng., ). Town of York, 1793–1815 (Firth), 193, 222; 1815–34 (Firth), lxxxi. U.C., House of Assembly, Journal, 1836: 198, 291, 293, 303. Examiner (Toronto), 3 June 1840; 17 Nov. 1841; 19 Jan., 15, 22 Feb., 1–15 March 1843. Rochester Gazette (Rochester, Eng. ), 25 Dec. 1855. Toronto Mirror, 21 Jan. 1842, 10–24 Feb. 1843. Toronto Patriot, 26 Nov. 1841; 14 Jan. 1842; 10, 14 Feb., 2 June 1843. Armstrong, Handbook of Upper Canadian chronology, 25, 31, 35. G.B., WO, Army list, 1810–35. Canniff, Medical profession in U.C., 480–89. William Dendy, Lost Toronto (Toronto, 1978), 148. Middleton, Municipality of Toronto, 2: 793. Whitworth Porter et al., History of the Corps of Royal Engineers (9v. to date, London and Chatham, 1889– ; vols.l–3 repr. Chatham, 1951–54), 1: 270, 272. Scadding, Toronto of old (Armstrong; 1966), 288. Barrie Dyster, “MACAULAY, JOHN SIMCOE,” in Dictionary of Canadian Biography, vol. 8, University of Toronto/Université Laval, 2003–, accessed April 24, 2019, http://www.biographi.ca/en/bio/macaulay_john_simcoe_8E.html.